We speak, we act, and we live our lives out of the overflow of our hearts. The heart of is key to the spiritual lives of men and women in the Body of Christ. It’s where we live!!! 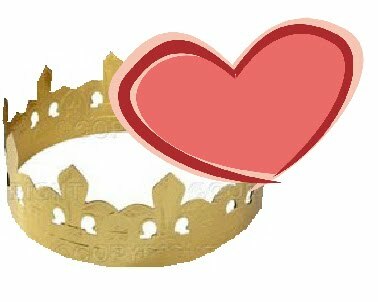 With this post I am starting a new series on ‘The Heart of a King’ that will transform your understanding of your heart. The heart is the most powerful force in our daily walk. It is the decision hub of life. Some of you may think, ‘I thought the born-again spirit was the most powerful force’. Our born-again spirit is completely righteous and holy because of our believing in Jesus, but it only influences our decisions as we allow it. The Bible is clear that we have free will and choice in life. We can believe or doubt with our heart (Rom. 10:9, 10; Mk.11:23; Heb.3:12). We can forgive or not forgive from the heart (Matt. 18:35). We can understand or remain ignorant (Acts 28:27; Eph. 1:18). We can love or hate (Matt.22:37; Luke 10:27; 1 Pet. 1:22). We can ponder or ignore (Luke 2:19). And, we can open or close, harden or soften the heart (2 Cor. 6:11, 13; Acts 16:24; Matt. 19:8). It is the place where we choose to be victim or victor, a giver or a taker, a serf or king. The powers listed above all come from the New Testament as a sampling of those found throughout scripture. I used New Testament examples because the Heavenly Father relates to us differently under the New Covenant than under the Old Covenant. Under the Old Covenant the Father related to people through the soul and the heart. Man’s spirit was not born-again before Jesus. The Father primarily used external, tangible means (fire, miracles, audible words, words of prophets, etc.) that could be received by the 5 senses and considered by the heart of man. While the Spirit of God could be ON a man or woman, it was not IN a man or woman. He would choose one man or woman to whom He would speak, direct, and guide as leader of His people. Under the New Covenant of faith and grace with Jesus the mediator of a new covenant, the Father primarily relates to us by way of the Holy Spirit. That is, He speaks to us spirit to spirit. The New Testament makes it clear that we are a 3-part being; spirit, soul, and body. He made our spirit-man perfectly righteous and holy when we received Jesus as savior, redeemer, and Lord. Therefore our spirit is in direct communication with the Father. We have His written revealed Word to deposit within us and to discern as Truth. We have direct access, to and from, the throne room of the Father by way of the Spirit of God. While we have direct access as often and as much as we desire, we do not necessarily make our decisions based upon that relationship. Sometimes we make decisions based primarily upon our intellectual understanding (soul), or primarily with our emotions (soul), or primarily based upon physical condition, e.g. pain (body). At other times we acted based upon our spirit in communication with the Holy Spirit e.g. obey a Word from the Lord, sing in a spiritual language, and apply for different employment. But WHERE do we make that decision? We make it in the heart, that undefined intersection of soul and spirit where core beliefs, values, priorities, and character are established. It is seat of the will of man. The heart is the axis of adjudication, the pivot point of power, and the center of conclusion. It is out of the heart that the issues of life flow. Join me in these next weeks as we consider ‘The Heart of a King’.